It's my favorite time of the year.... rhubarb season! Alot of us have an abundance of rhubarb needing to be used right now, or within the next few weeks, and these 25 recipes will help you do that! Click each link to check out the tasty recipes from these great blogs! I just made a rhubarb cornbread dessert in my crock pot this week. I am loving this post! pinning! Oh my gosh! That sounds so good! Thanks for pinning! Where did you find a recipe for Rhubard Cornbread Dessert for the crock pot? 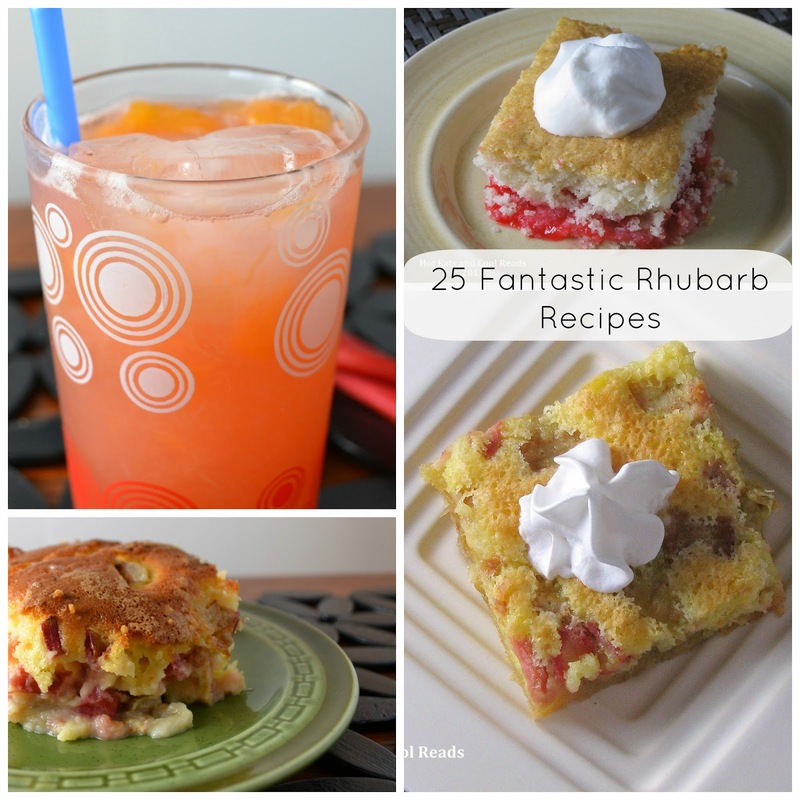 What a great list of Rhubarb recipes! I love the mix of rhubarb and strawberry! Thanks for linking to the In and Out of the Kitchen Link Party! What a great list. I have never used it, but I know it grows really well here. Great collection! I love rhubarb!